MA_Brig_Kit : Windrose Armoury, We Bring History To Life! 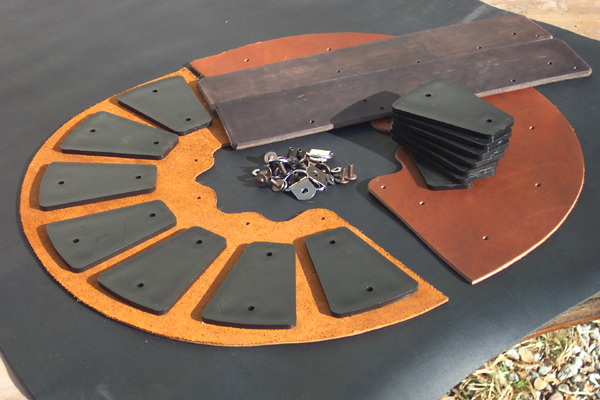 Thank you for choosing a do it yourself brig gorget kit from Mandrake Armory. It is a multi-size item, and will accommodate many size necks with some judicious trimming. Each half of the gorget is identical, overlapping the other. Please note: We have made some improvements to the design that make it easier to put this kit together but do not have the necessary photos to coincide with the improvements. The written directions have been adjusted to include these changes but the photos still reflect the old methods. We have left the old photos in anyway to give you a basic visual of the process and what the piece should look like after each step. For larger images of the pictures, please click on the thumbnail. 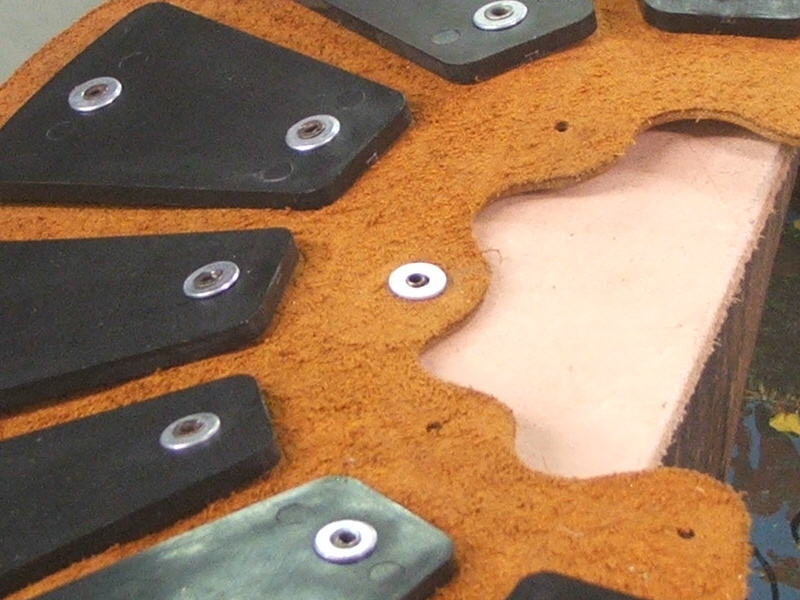 Each of the 14 plates is held into the bib with two short 2-piece rivets. 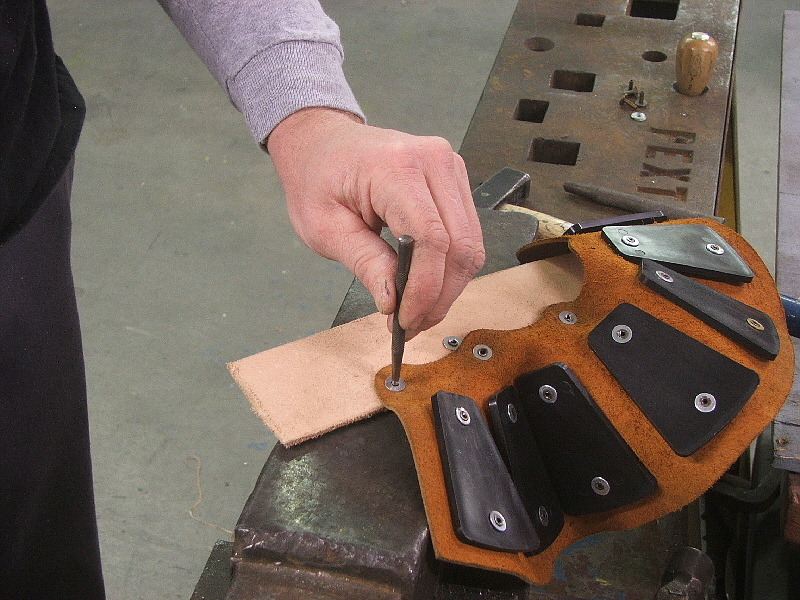 Orient the plate on the leather, the larger end of the plate towards the edge without hole, then push a rivet through from the leather side and up through the hole in the plate. 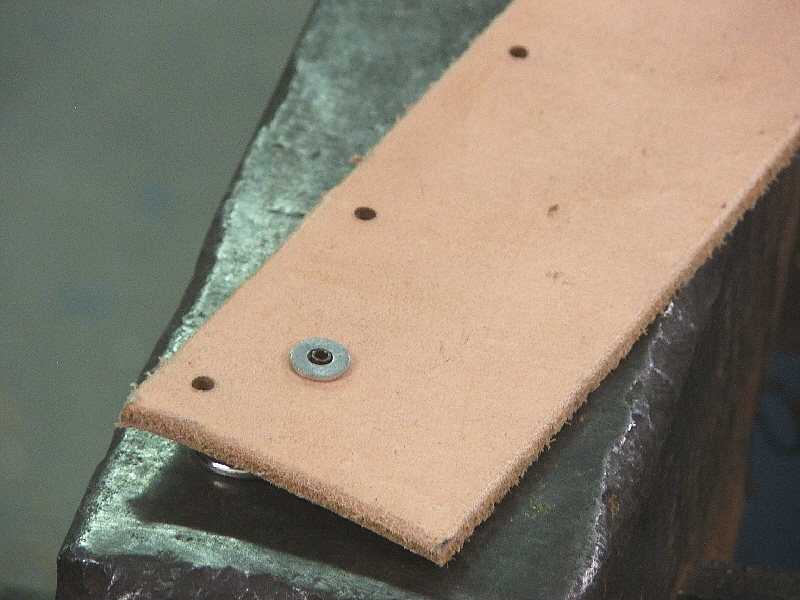 The rivet should be supported on a hard solid surface like an anvil. Place the cap on the rivet and strike with hammer making sure to strike straight down. 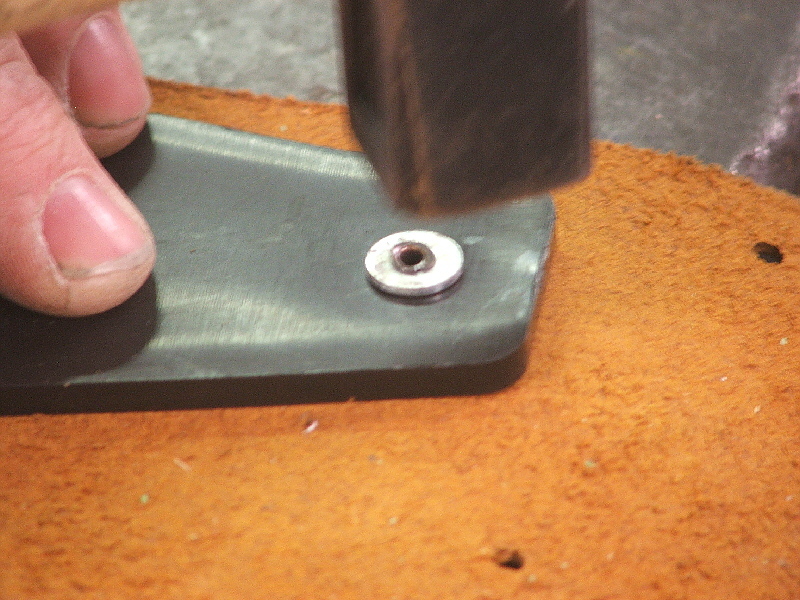 Set the next rivet in the plate in the same fashion, working your way around each bib until all 14 plates are mounted. 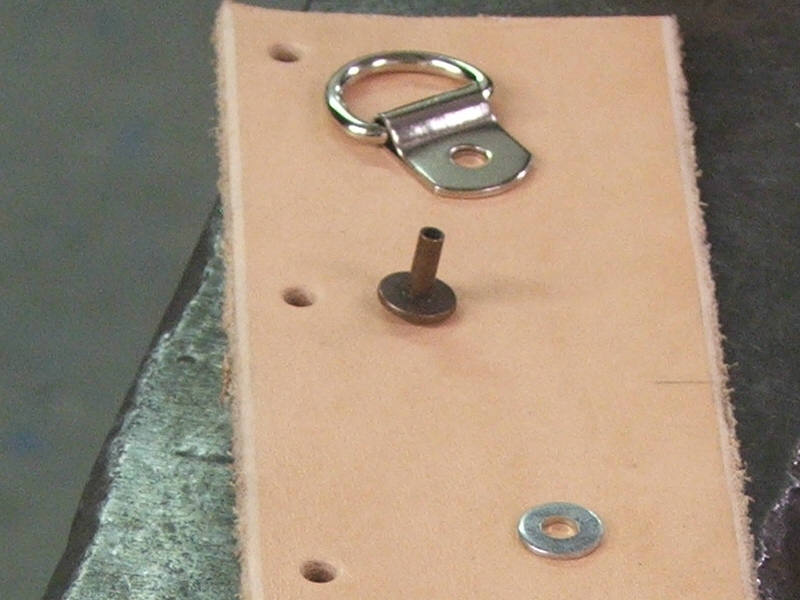 Next, mount the D-Rings to the neck plate, inserting a long rivet through the plate on the D-ring and then through the leather. 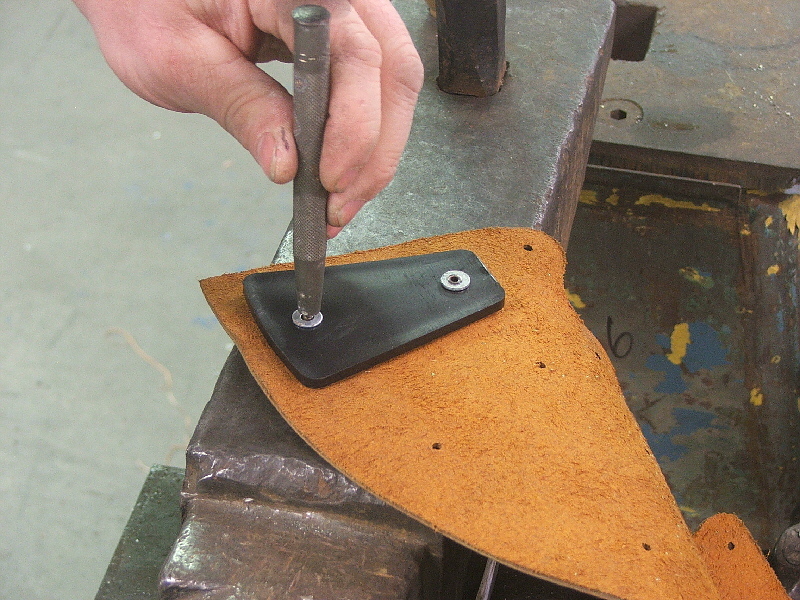 Carefully turn the leather over, rest it on a solid surface, place a cap on the rivet and finish it in the same manner as the previous ones. 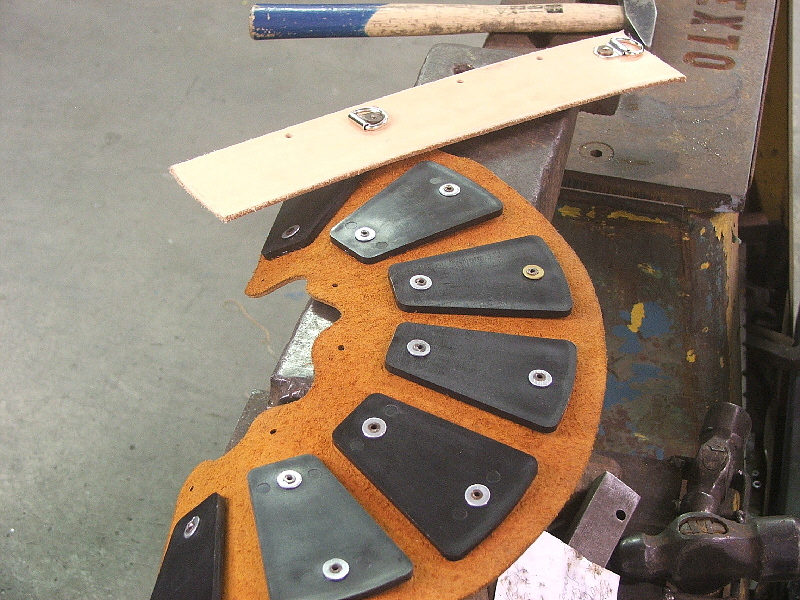 Install all 4 D-rings into the appropriate holes on the neck plate. 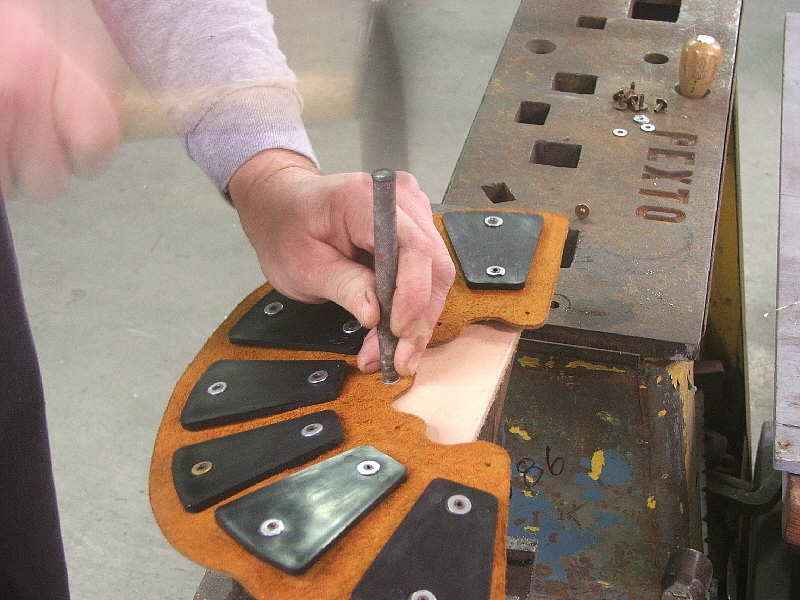 Next it is time to join the neck and bib portions, using the same riveting techniques as previously. Starting in the center, put a long rivet in from the outside, neck plate first, then into the wavy upper edge of the bib. Place a cap on top of the rivet and set as previously making sure to strike straight down on the cap. 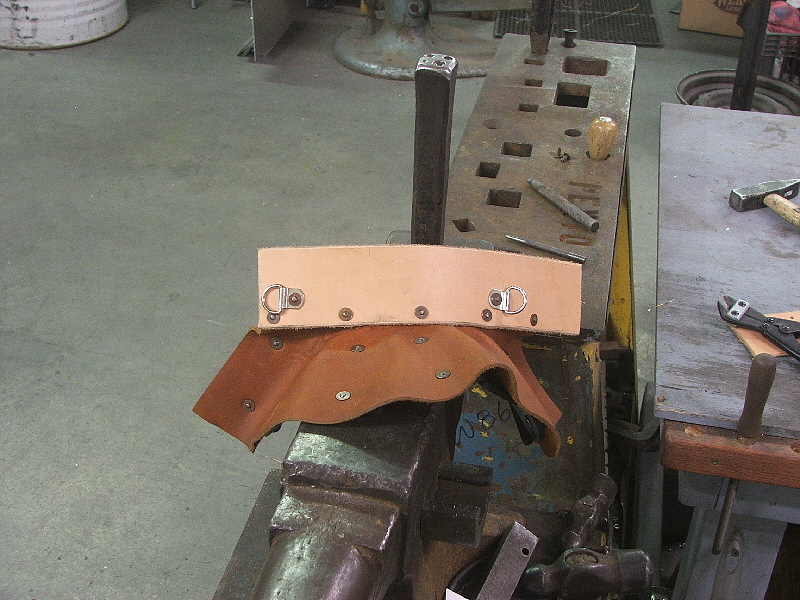 Move out from the center hole, pulling the bib leather tight and stretching it over each rivet and setting the rivet. Swearing sometimes helps to keep the caps on the rivets during this step, but be sure not to overdo it as it may cause warpage. Finished half will look like this, then you only have to assemble the other side! Using the leather string, tie each side closed, long side of the leather tucking under the short side. 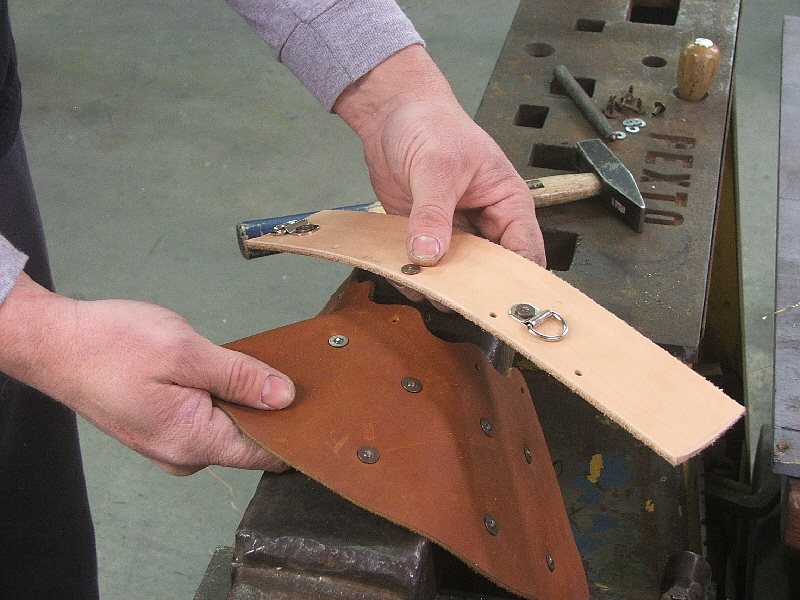 Pad as necessary, and trim top edge for neck clearance if necessary. Once you have dialed the fit in, many customers find it easiest to rivet one side of the gorget closed and tie only one side. We hope this essay will help you get your kit put together with a minimum of trouble and you enjoy your new gorget.